Weldon Home Exteriors offers the broad range of styles and energy efficiency available from Simonton Windows. Simonton understands that energy efficiency is more important than ever. 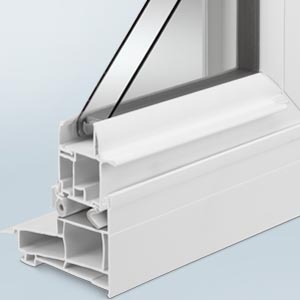 They are continuously looking for ways to make windows and doors as thermally efficient as possible. From the materials used and the glass packages offered to their dedication as an ENERGY STAR partner, they’ve got you covered when it comes to energy efficiency. The premium vinyl used in our windows and doors is an excellent insulator. Its thermal properties are far superior to aluminum, steel and stainless steel. Simonton windows and doors are available with ProSolar® Low E glass. A transparent metallic oxide coating applied to the glass surface allows short-wave energy to pass through but reflects long-wave infrared energy for greater thermal efficiency. The space inside an insulating glass unit—between the glass panes—may be filled with Argon gas, an odorless, non-toxic gas that is six times denser than air. This acts as an added barrier for a higher level of efficiency. Available in some regions of the country, Krypton gas is even denser than Argon gas and further maximizes energy efficiency and temperature transfer.